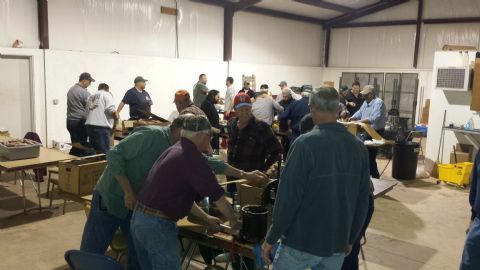 Knigths from Council# 3220 stuffing sausage for their fundraiser. 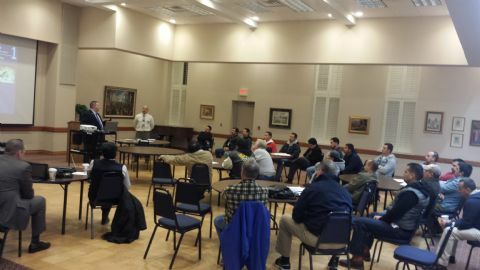 State Officers and Brother Knights from around Oklahoma discuss the formation of new Hispanic roundtables. 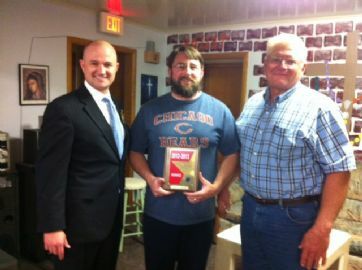 GK Jake Coughlan and DD Mark Walta receiving the Insurance Award for council# 3113 - Kingfisher. 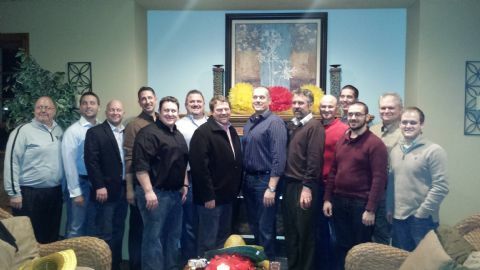 Agents from Oklahoma and Arkansas gather for our agency kick-off party. 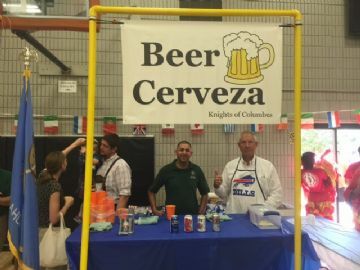 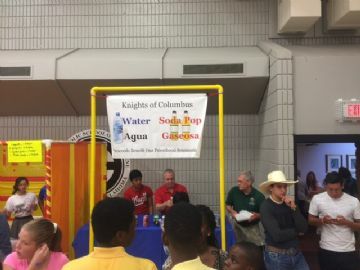 Knights from council# 10822 working the Festival of the Americas and the World at St. Eugene. 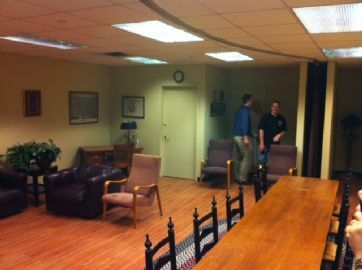 Meeting room in the basement of St. Mary's Catholic Church in New Haven, CT where the Knights of Columbus was founded.